To thee the spring will be a harvest-time. To thee the Spring shall be a triple morn. And yet my song comes native with the warmth. And he’s awake who thinks himself asleep. 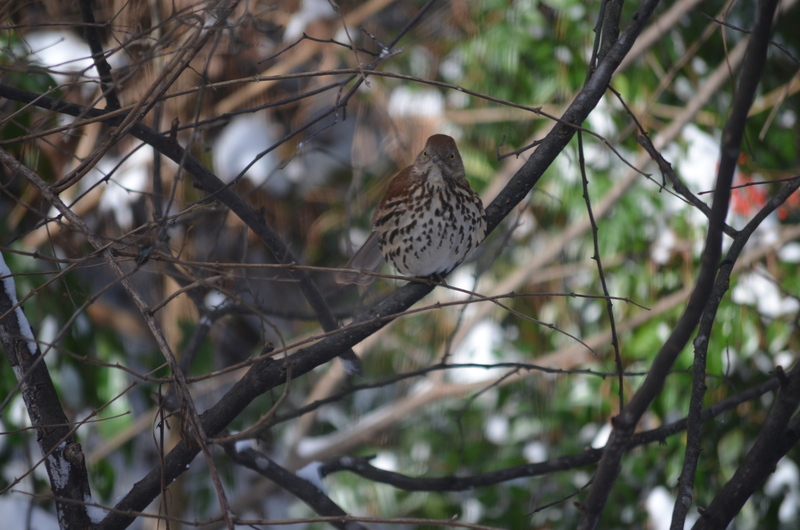 Here’s a wood-thrush from my feeder. Playing with my long (500mm) cheap mirror lens again. I set the shutter speed to 1/4000 (as fast as the Nikon will go) and let the auto-ISO handle the rest. It has a relatively fast f5.6 that cannot be changed. The other caution to watch for is the T-mount. It can unscrew a little and loosen while the lens is on the camera if it isn’t in tight. That will cause difficulty with focusing. 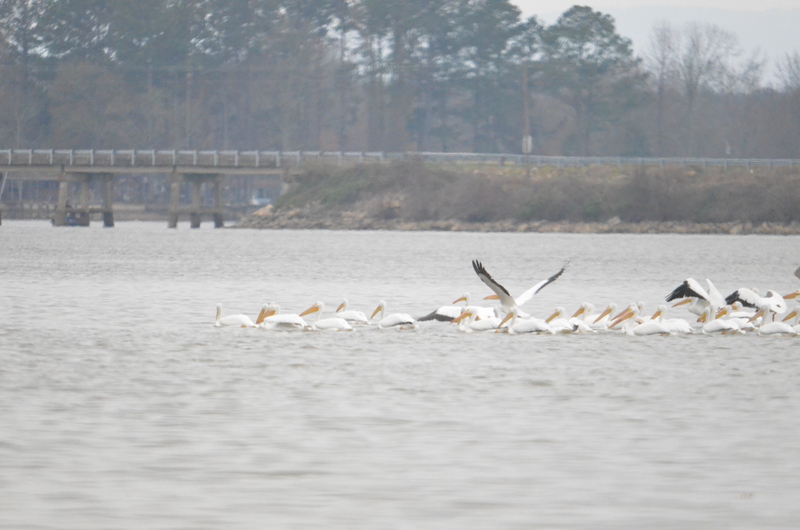 We have resident pelicans. They are supposed to be rare. Ours aren’t. 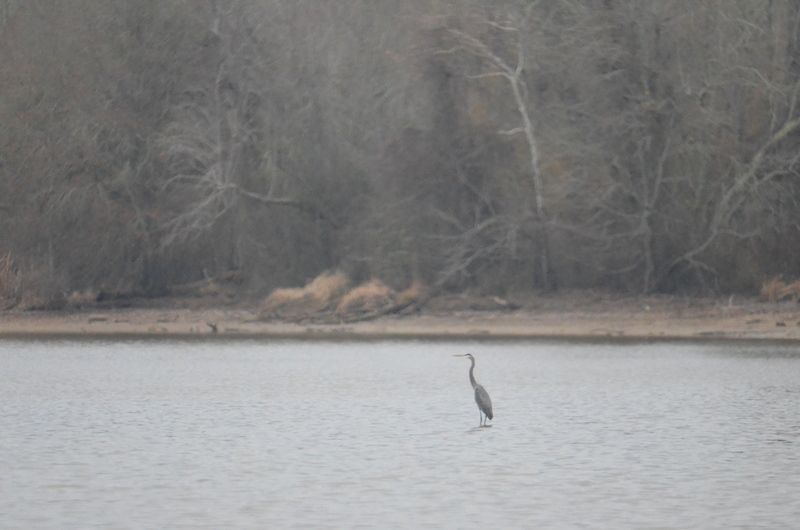 The herons perch on stumps out in our little branch of Lake Weiss. The image quality isn’t perfect, but it could be a lot worse. Not sure how much is the lens and how much is the ISO/low light. Author rharrisonauthorPosted on December 13, 2015 Categories birding, Nature, PicturesTags birding, Photography2 Comments on More Birds. Cranes in a cotton field near Centre. I wanted to try an inexpensive mirror lens with a 2x extender for nature photography. It’s not bad, but not great either. The acuity is not as good as I’d like, and the depth of focus is paper thin. But when it works it’s pretty good. 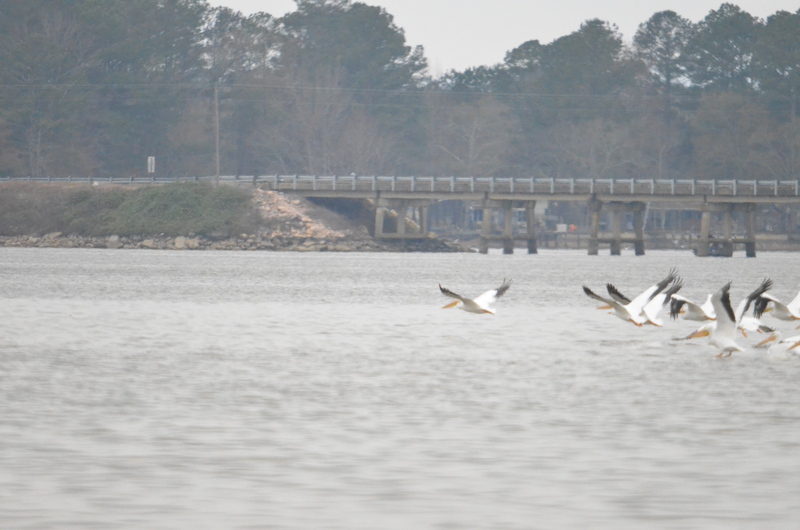 These seagulls were hunting shad on the far side of the lake, about 700 meters away. The flat field of focus can be really nice. I like this back-lit grass and weeds. It is a little early yet, but the Sandhill Cranes overwinter near us. They love hunting bugs, frogs and other such small deer in the cotton fields at the Georgia Alabama border near Centre. 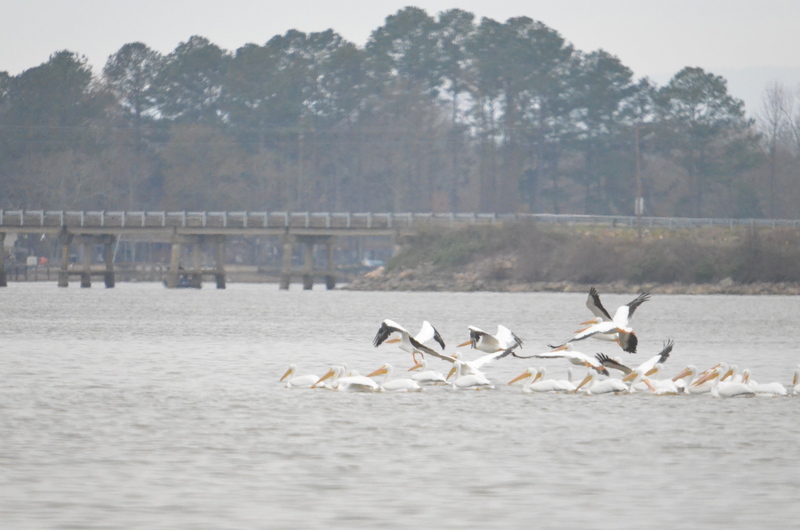 We’ve even seen, once, the Whooping cranes fly through. This shows what a 200mm lens does. I’m just waiting to try with a bigger one.